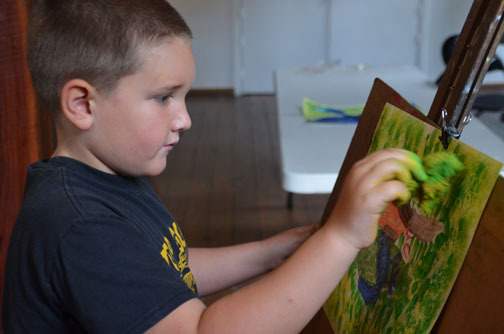 Mill Art Center & Gallery provides an environment in which the community can express and develop their artistic abilities through instruction, observation and interaction with professional artists. Our unique blend of classroom studios and professional gallery exhibition space encourages students to immerse themselves in art, with inspiration from instructors and the art that surrounds them. Children and teen classes follow the public school calendar. Arrangements may be made with specific instructors for make-up classes. Gift certificates for art classes and art purchases available. the newly inspired "Mac" summer dAY cAMP program.... an educational camp centered on the arts, Discovery, and enrichment--- iNDOORS AND oUT. We are located in the village of Honeoye Falls, where country life slices right through town. • Shadow box creations … collect and make special treasures outside and in the studio , create one-of-kind 3 dimensional art for your walls. • Fun with Food…Farm to Table … create your own pretzels or pizza with guest chef Luke of the Rabbit Room Restaurant. Bake them and eat these yummy snacks! • Summer Treasure Boxes... create special boxes as a keepsake for treasures with paint, photographs, shells and other special finds. • Mobiles… use your imaginations to create unique moving art for the air! Work from a personal theme with created and found shapes. These are wonderful hanging from the ceilings of your room. Visual and actual balance will be addressed. 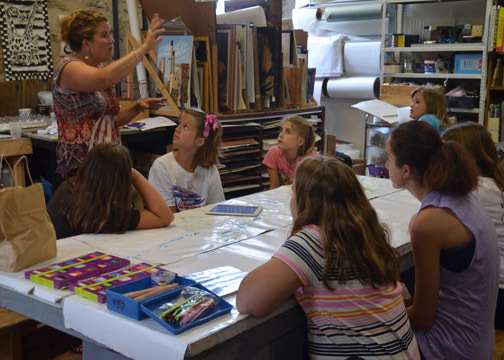 • Creative workshop …Guest artists will work with our campers in a mixed media workshop every Wednesday morning. A nominal studio and supply fee may apply. 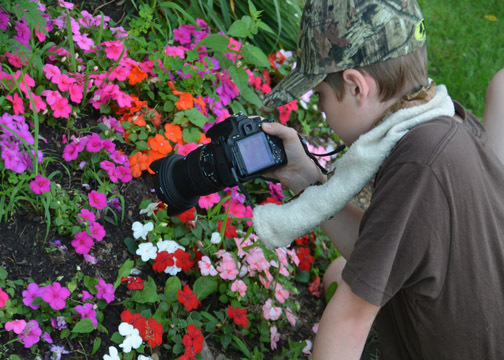 • Photography and Photoshop … blazing the trails of the Mill's natural surroundings for the perfect “photo op”, followed by an introduction to the editing process on Photoshop. • Wading in the shallows of Honeoye Creek … a favorite end-of-the day chance to wind down, weather permitting. 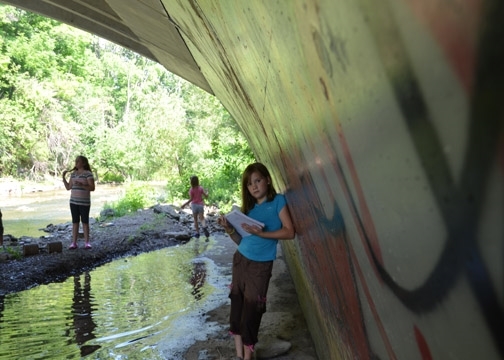 Cool off and explore nature's wonders in and along the water and rocks, a place where children of the Seneca played and fished. • Yoga …” balance of mind, body and soul”. Meet Niki Januzzi, our Yoga instructor and ambassador for inner peace. • Odonata Sanctuary Nature Preserve ... a wonderful "escape" for the day to visit with farm animals, learn about organic farming, hike trails and become one with nature. Drawing and photography will be explored throughout the day! Camper needs to be 6 years old by June 30, 2017. Your sketchbook, camera, download cables for camera, lunch, sunscreen, and water shoes to wade in the shallows of Honeoye Creek. We will provide all art supplies: pencils, charcoal, pastels and paints etc.